Custom Height. Custom Size. Custom Shape. Customize & Buy Online Today! 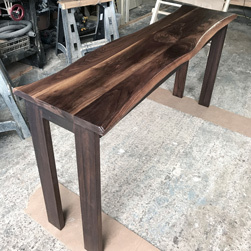 We know how it feels to be over 6 ft tall & try to sit at a standard height dining table or working desk so we build custom tables as tall as you need. Fast & Free Shipping. 5-Star Reviews. 100% Solid Wood. Any Height. Any Size. Any Shape. 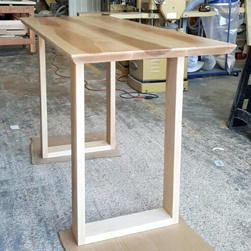 Counter Height Tables. 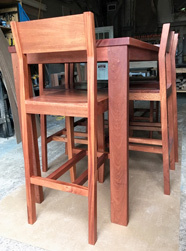 Pub Height Tables. Bar Height Tables. 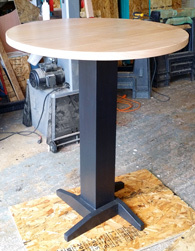 Our custom height tables are available from 15" high up to 62" high or more upon request. It has never been easier to buy a tall table custom made for your height & have it delivered to your doorstep.